To obtain further details about the Friends of Hyde Park Cemetery, please contact us using one of the methods below. You can contact us by letter, by phone or by email. To email, please click on the appropriate link, below, depending on the nature of your enquiry or use the Contact Form to the right. If you are using a sat nav system, the postcode DN4 5AA will take you close to the main entrance on Carr Lane and the postcode DN1 3QU will take you to the western, New Street entrance. 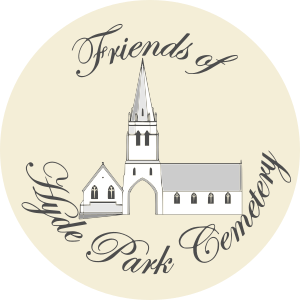 If you would like to receive occasional emails providing information about Friends of Hyde Park Cemetery events and activities, please subscribe below.